Since 2007 EIC has nearly paid Aed 790m in dividends to its shareholders. EIC has a track record of constant and predictable earnings. 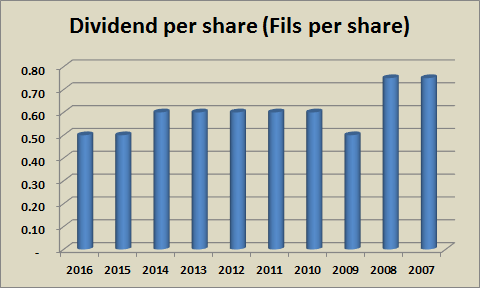 The graph below is an indication of dividends paid per share since 2007. 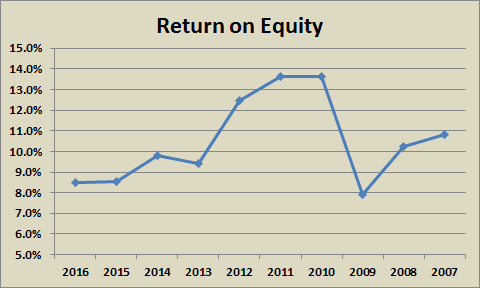 The Return on Average Equity for the company is also consistently in excess of 8.5% as can be seen from the Graph below since 2007, slightly dipping below 8% in 2009 following the financial crisis in 2008.